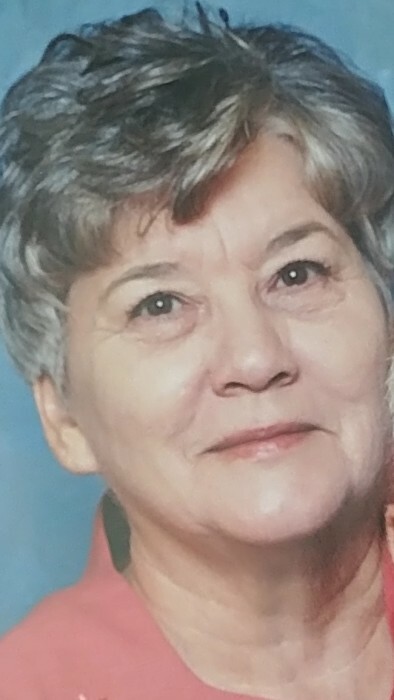 Mrs. Janice Love Moseley Sawyers age 77, of Pinnacle, NC, passed away on Tuesday, February 5, 2019 at her residence. She was born on November 3, 1941 to John Thomas Moseley and Ollie Mae Johnson Moseley.Mrs. Sawyers loved life, she enjoyed reading, cross-stitching and most of all cooking her family’s favorite meals. She will be greatly missed by all who loved her, and her cherished memories will be held close to their hearts.Mrs. Sawyers is loved and missed by her loving husband; James Phillip Sawyers; three daughters; Teresa Simmons, Kelly (Brent) Pridgen, and Pamela (Robert) Province, six grandchildren; Brannon Ballard, Misty Davis, Brenner Pridgen, Kendall Pridgen, Nolan Simmons, Ashley Collins, five great-grandchildren; Dillon Ballard, Harper Ballard, Malaki Murphy, Addison Davis, and Austyn Davis.Mrs. Sawyers was preceded in death by her parents, John Thomas Mosley and Ollie Mae Johnson Moseley; one grandson; Justin Collins, one brother; Wayne Moseley, two sisters; Eva Harper and Mary Ann Bet HudsonA funeral service will be conducted on Friday, February 8, 2019 at Cox Needham Funeral Home at 3:00 PM with Pastor Eddie Sawyers officiating. Interment will follow Rock Hill Baptist Church Cemetery.The family will receive friends on Friday, February 8, 2109 from 1:00 PM. to 3:00 PM at Cox Needham Funeral Home.Cox-Needham Funeral Home of Pilot Mountain (http://www.coxneedham.com, www.facebook.com/coxneedham) is respectfully serving the Sawyers family.